Product prices and availability are accurate as of 2019-04-19 15:49:19 UTC and are subject to change. Any price and availability information displayed on http://www.amazon.com/ at the time of purchase will apply to the purchase of this product. Nature Made Vitamin K softgels are formulated with 100 mcg of Vitamin K2, which may help support bone health. 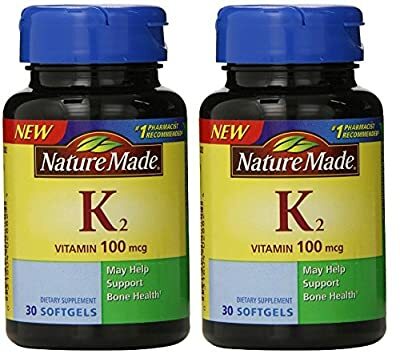 Vitamin K2 is found in few food sources, which makes Nature Made softgels a good way to obtain this nutrient.